Everyone needs to believe in something - I believe I will go fishing!! This weekend is our Second Cabela’s Qualifier Tournament, so here are some reminders. Tournament hours are 7AM to 2PM. Entry $30 a team. Both members must be SWC members (Dues $20 single $30 family) Membership registration at the launch site is $10 extra unless you have made arraignments ahead of time. This is a 5 fish weigh-in with 10 in possession on the Bay and 6 in possession on the River. 15” Minimum length to weigh and no Sauger. Bad weather cancelation or restrictions will be announced at the launch sit the morning of the event. Reminder – if you want to be qualified to be in the Cablea’s NTC team point race you need to be TWF registered before the launch on Sunday Morning. For more info see other e:mails or call Bob Claus at 920-360-2904. This event is a TWF Side pot event also. 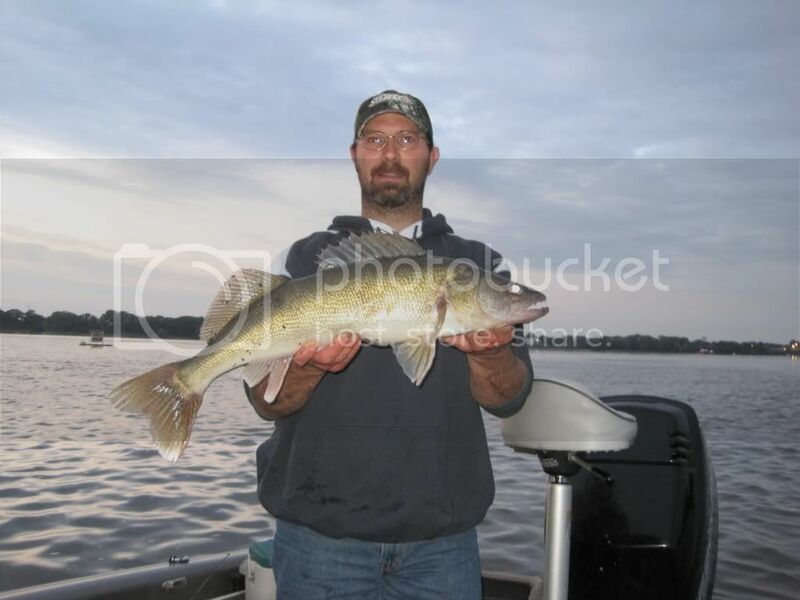 You must go to www.walleyefederation.com to register for the side pot which is $50 a team. You must register on your own on line before Sunday May 4th. WE CANNOT REGISTER YOU FOR THE SIDE POT AT THE TOURNAMENT REGISTRATION! . For more info see other e:mails or call Bob Claus at 920-360-2904. Remember as it happened at the Wolf River event the tournament winners were not entered in the TWF Side pot and thus the Paid 2015 Cabela’s NTC entry was won by the 4th place team!! Let’s hope for a great bite and great weather!!! And Damn good looking - if I don't say so! Here is the Boundary map. Heard a lot of reports that the Northeast winds blew a lot of ice into the lower bay. If this is true, we need to be extremely careful out there. Anyone been out lately that can confirm this? Want to thank those who put in the effort to make the GB event happen. I was a first timer and enjoyed it. Will be back for more. Any chance results will be posted?